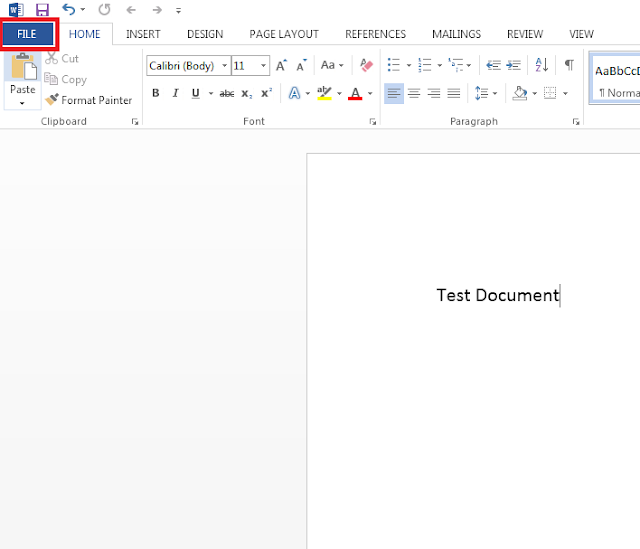 Microsoft Word documents can be converted to password protected Adobe PDF documents using the built-in functionality added to MS Word. The functionality is available from Microsoft Office Version 2010. 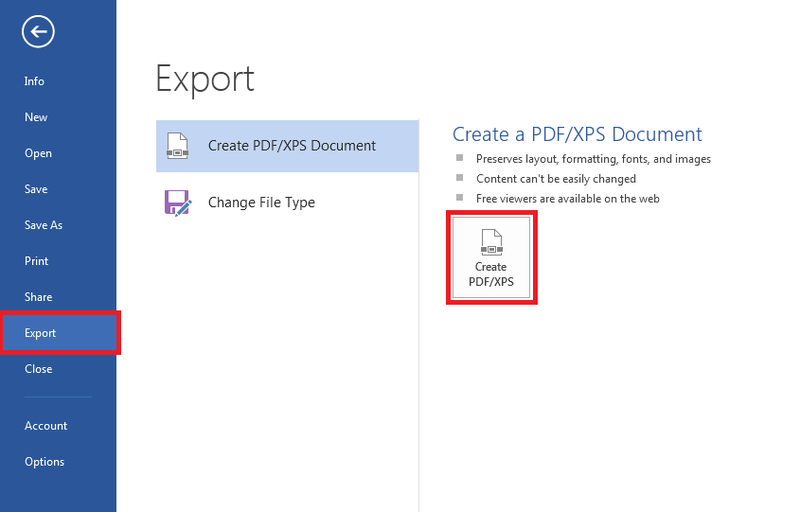 The steps given below are prepared with Microsoft Word version 2013. Select "Export" option in the left side menu. 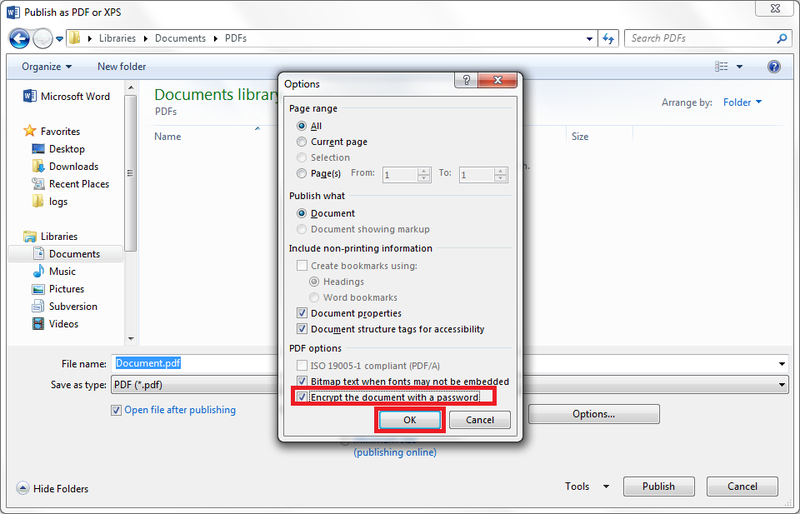 'Publish as PDF or XPS' file browser dialog will be displayed now. Click "Options" button. In the 'Options' window, Select "Encrypt the document with a password" option. Enter the Password and confirm the password. Please note, password must be between 6 characters and 32 characters in length. Browse to required directory, Enter the File name and Click "Publish" button. 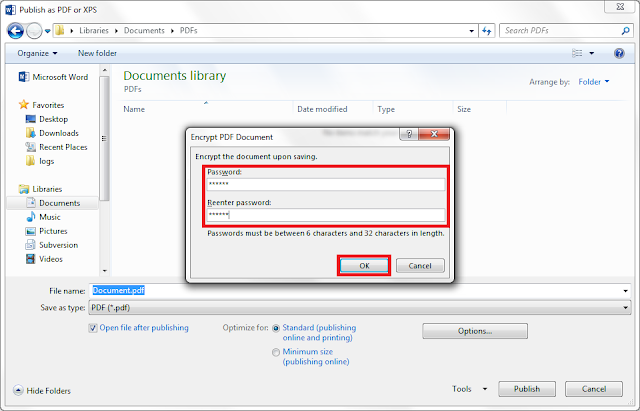 Password Protected PDF Document will be generated now! Open the PDF document in Adobe Acrobat Reader and ensure that PDF is password protected.